I wanted to use WebStormIDE to launch a NodeJS Http-Proxy server (written in Coffeescript). 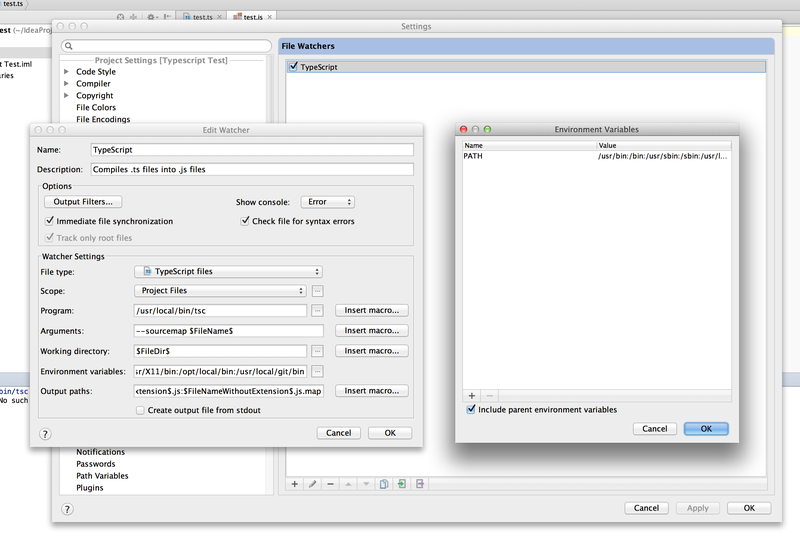 Works for Webstorm 9 for jade file watcher. Thank you! This worked for Webstorm 11 with Babel file watcher (compilation of ES5 to ES6). Same started happening randomly after working fine with the LESS Compiler too. This fix works with PHPStorm 8.0.3. Don’t know why it ever started occurring though. This helped me with another related issue. Trying to run gulp tasks in our project resulted in the same error. Adding the PATH env fixed it.